Back in October we reported that AppCircus was coming to London. And last night, not only was The Next Web in attendance to see the developers pitch their products, we were on the panel of judges too. Just to recap, AppCircus is a traveling showcase event that lets local developers demonstrate their apps, with the winners getting the chance to be nominated for the Mobile Premier Awards, held during the Mobile World Congress in Barcelona in early 2012. Nine apps were showcased at the event, and without meaning to sound patronizing or cliched, each one was genuinely very good, and it was a difficult decision to reach. I often cringe when I hear others say that, but it was true on this occasion, and its testament to some of the really exciting things happening in tech. 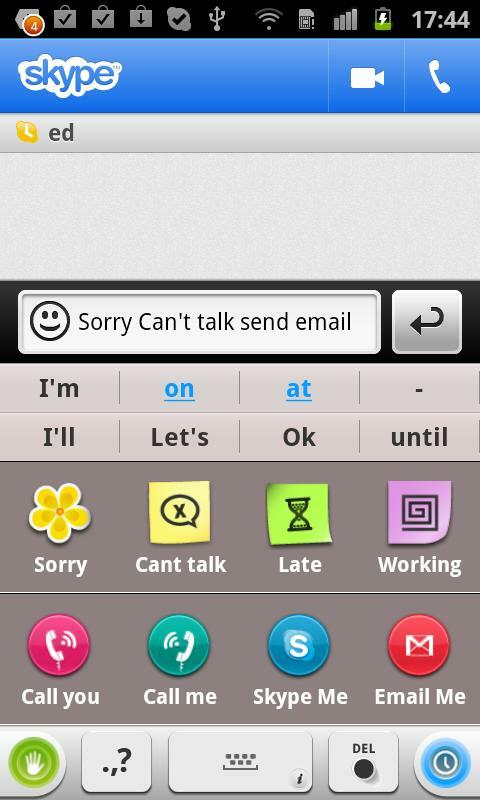 Echoecho is a free app for iOS, Android, Symbian (yes, Symbian) and BlackBerry, with Windows Phone 7 coming soon. It strives to solve the problem of discovering where your friends are, without going through the painful texting/calling process that often begins with ‘where are you?’, followed by multiple attempts to explain which landmark you’re next to. 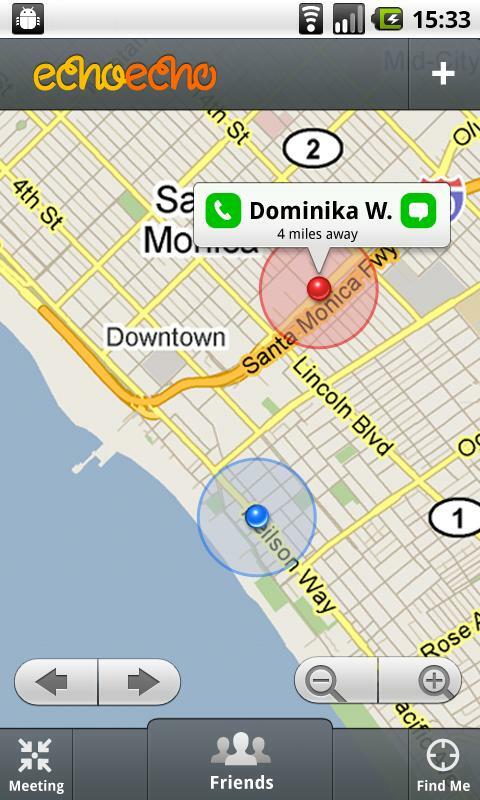 The app works anywhere in the world, and it taps into the contacts in your phone’s address book, meaning all you need to do to discover where someone is, is tap on their entry within the app, which sends a request to your friend who must then give permission to reveal their location on a map, alongside your location. You can also choose a venue nearby to meet at, whilst it has a built-in instant messaging feature too. The Echoecho invitation can also be sent directly by text, with the Webecho feature allowing people to share their location without downloading the app, which is a very key component of this app. 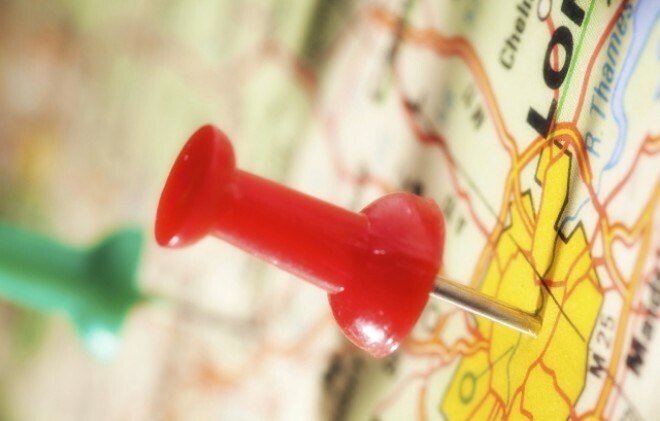 Of course, this sounds a lot like what Google Latitude already offers, but by requesting location information, Echoecho effortlessly bypasses any privacy concerns. And because it’s not constantly broadcasting location data, it shouldn’t drain the battery either. This was an interesting one to say the least. Siine Writer is a London/Barcelona-based startup that has developed a keyboard for Android touchscreen devices, and it sells itself as the first icon-based keyboard that combines standard Qwerty features with icon-keys that can be personalized. The icon buttons can be tailored to your needs, so that long strings of text can be entered with a single click – and the icon images can also be personalized by a user, who can upload their own images. This iOS app got an honorable mention, because it seemed like a very well designed, beautifully constructed app. And the pitch was very good too. 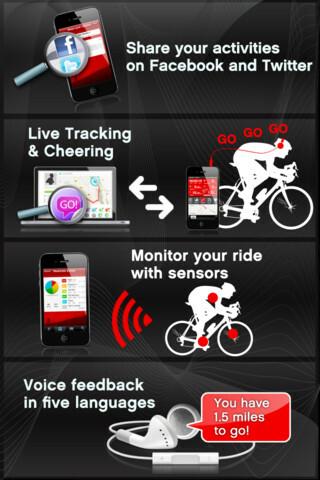 You can monitor your ride with sensors (available as separate hardware), and the app saves the data to each cycle session, such as weather, pace, altitude etc. And you can also see the sunrise and sunset time in the weather overlay. You can even get a summary of your session via a voice feedback feature, and you can involve your friends by letting them track a bike ride/race live online, giving you encouragement in real-time. The Runtastic team has a series of health and fitness tracking apps, which have garnered somewhere in the region of 4m downloads, which are pretty impressive numbers and shows they’re doing something right. Pugpig is an HTML5 publishing platform that allows users to create newspapers, magazines and books for iOS devices, with some Android support in place too though this apparently is lagging behind the iOS offering. HipSnip is the latest personal shopping app (Android and Web) on the block, designed to get shoppers product advice before they part with their hard-earned cash. Foodzy is social game for Web and mobile that allows users to check-in the food & drinks they consume each day, enabling them to monitor their daily food intake and maintain a healthy lifestyle. In fact, you can read all about Foodzy from our feature back in April. Eeve is an iOS app that allows people to take pictures together and collaboratively tell a story from an event, or from when they’re simply hanging out with friends. Read all about Eeve in our September feature piece. SlickFlick is an iOS app that lets users create, publish and consume photo storyboards on mobile devices. So, you can compile your photos from all those special moments, and annotate them with text to tell the story behind the pictures. The Girl in the Spaceship is an interactive iOS eBook for young children. It’s a story about a mysterious spaceship traveling through space, and it stops at a world similar to Earth.